I’m golfing *a lot* this summer. The game has evolved and improved, and the scores are certainly showing that, but that’s not to say that it is necessarily any better! I know that I still suffer from some pretty fundamental swing mechanic flaws. So the fact is, I’ve managed to work through my mistakes, smooth them out, and get away with some shots. As one friend suggested after a recent round – I get a “D” for my swing mechanics. I get an A+ for my ability to make it work. And so while it might be working for me for now, it won’t always! It’s bound to catch up to me. When the mistakes get beyond my control, *bad things* happen, such as digging holes in sand on #14. I still need to address the fundamentals and change my approach! It’s also the same with business innovation. I’m always taking a lot of business insight from my golf game – and it is certainly found in this quote. 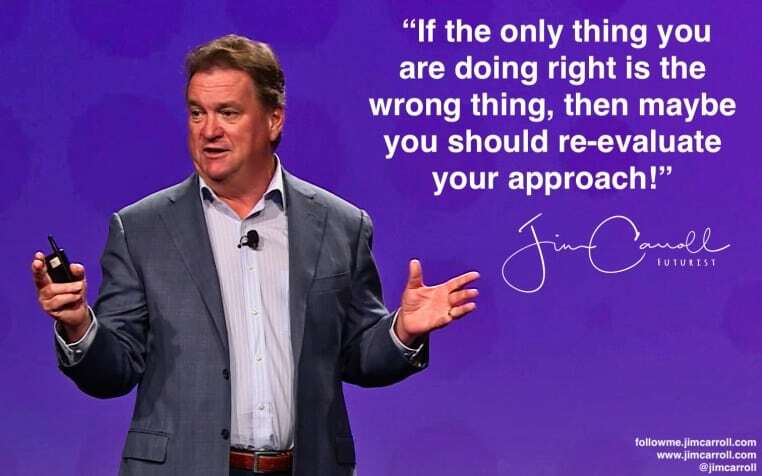 Lots of companies and people get caught in a routine-trap, and get pretty good at the mistakes they make. They don’t realize though, that as in golf, the mistakes are bound to catch up to them. Mistakes have a habit of smoothing out the bumps at first,but over time, their toxic effect becomes cumulative. Your strategy might be working for you for now, but if its a bad strategy – well, it’s a bad strategy. It will catch up to you. It’s better to fix the mistakes before that happens!